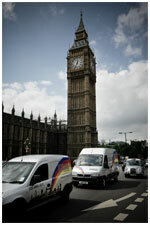 Are you looking to significantly reduce your expenditure for same-day courier services? Would you like a fast and reliable service from a market leader within the idustry? Do you want instant updates on the status of your delivery sent straight to your inbox? Would you like to do your bit for the environment and work with a carbon neutral supplier? Is you answered YES to all of the above, then Churchill Express is the supplier for you! 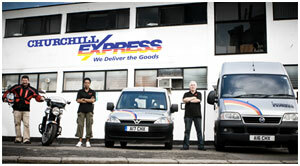 Churchill Express was established in 1968 and is now the largest independently owned courier company in London. Over the years, Churchill Express has grown to provide courier and bespoke transport solutions to many of the UK’s most recognised and successful corporations, as well as thousands of small to medium sized businesses. At Churchill Express, friendliness and professionalism goes hand in hand. Whatever your requirement may be – no matter how big or small – Churchills will always find a solution that leaves you feeling both serviced and valued. Churchill Express is open 24 hours a day, 365 days a year, making express deliveries to and from any destination in the UK. Churchill Express also has a UK wide network of affiliates to call upon should alternative vehicles be required. Churchill Express operates a stringent Track and Trace policy to all deliveries. 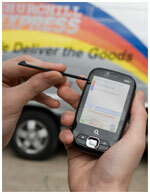 Our couriers all carry XDAs, allowing us to pinpoint their exact locations at any given time via GPS. When making a delivery, we ensure that in all cases a signature is provided by the recipient, which then generates an instantaneous proof of delivery e-mail sent directly to any number of e-mail addresses.